How well do you really know yourself and your relationship with money? When it comes to your money outlook, you tend to be influenced by the five people you spend the most time with. Commit to being a lifelong learner about personal finance and personal fulfillment. There’s a strong correlation between the two. Don’t let your emotions get in the way of a sound financial plan—or life plan. Be brutally honest with yourself about what’s most important in life. Eliminate distractions that prevent you from putting your energies where they truly belong. Q1. Who do you spend your time with? According to motivational speaker and business guru, Jim Rohn, we are the average of the five people we spend the most time with. It’s been proven time and time again that people are the product of their environment. If you spend your time around people who constantly complain about money, who degrade rich people, who see money as the root of all evil or who will do anything to avoid a conversation about finances, then you’ll have a lower probability of growing your wealth than if you spend your time surrounded by people who have a healthy relationship with money. That doesn’t mean you have to champion the “Greed is Good” philosophy made famous by Michael Douglas in the 1987 classic “Wall Street.” But, think about your closest friends and colleagues. Do they seem to have a positive relationship with money? Do they inspire you to grow your net worth and pursue financial freedom by way of example? On the other hand, if your closest friends and colleagues are willing to accept an unhappy financial lifestyle, they will most likely endure an unfulfilling family and work life. Q2. What does your ideal day look like? One of the biggest benefits of financial freedom is that you can live your life on your terms—not on someone else’s terms. But if you don’t know what your ideal day looks like (both a workday and a weekend day), then how do you expect to experience it on a regular basis? It’s important to take inventory of your financial life. One of the best ways to do that is to spend a few hours a week increasing your financial literacy. It’s not about learning how to be a better stock picker. It’s about learning how to boost your career skills or starting a side business that can substantially boost your income. Before diving in, it’s important to know how you learn best. Do you learn best by reading, by listening or by watching? Whichever channels works best for you, spend an hour a day on it building your career skills and financial literacy. Surely it’s worth devoting 60 minutes a day to something that will lower your stress and increase your pursuit of self-actualization. READ: Barron’s, Wall Street Journal and Topley’s Top 10 blog. Q3. To Be Or To Do? Legendary Air Force colonel, John Boyd, used to ask trainees: “To be or to do? Which way will you go?” Boyd wanted to know if the new recruits would be focused on the pursuit of success or choose to focus on a higher purpose? The goal of financial freedom is not to acquire big houses, fast cars or expensive bling. It’s about acquiring the freedom of time so you can enjoy life and pursue a higher purpose. Finding a higher purpose takes time and contemplation. If you are just scrambling to pay bills all the time, you are not in a position to be thinking about your higher purpose in life. The stress hormone cortisol is public health enemy No. 1 and research shows that a sizeable percentage of Americans suffer from financial anxiety (see Question 12). Real tangible accomplishments happen only when your thinking is sharp and free of stress and distractions. Q4. If I Am Not For Me, Who Is? If I Am Only For Me, Who Am I? The alternative translation of that last part is “If I am only for me, what am I?” The answer is “the worst.” It doesn’t make you a bad person to want to be remembered, or climb to the top of your profession, or focus intensely on providing well for yourself and your family. But, if this is ALL you want from life, then that’s a problem. Many successful people have strong gos and are driven by self-interest, pride, dignity and ambition–but they temper those traits with a sense of humility and selflessness. I love Buffet’s quote and recently wrote a paper based on it (Investing Is a Psychology Game, Not an IQ Game). If you’re not careful, ego can be your greatest enemy in both investing and in life. Temper your investing life with a sense of humility and simplicity. This will give you the time and money for selflessness. Improving your personal financial life give you the time and money to change the world in a way that is most meaningful to you. Obstacles in our financial lives make us emotional. The inability to keep our emotions in check is what often destroys net worth and can lead to fractured personal relationships and stunted careers. Don’t let the stock market’s fickle gyrations fool you into making bad decisions. Don’t let Wall Street pundits and the financial media scare you with attention grabbing headlines. When it comes to investing, things are never calm for long. Over the past 70 years, the S&P 500 Index has experienced twelve separate corrections of at least 20 percent. That’s an enormous amount of wealth wiped out in a relatively short time. But despite those frightening reversals, the index has gained a stunning 15,000 percent over that seven-decade time frame. Those who stayed invested and who didn’t try to get in and out of the markets have been handsomely rewarded for their discipline. Meanwhile the average U.S. investor is barely keeping up with inflation (Sources: Richard Bernstein Advisors LLC, Bloomberg, MSCI, etc.). Why is it so hard for individual investors to keep up with inflation, let alone the unmanaged market index? Because many make emotional decisions at the wrong time—again and again! The Greek word “apatheia” refers to the equanimity one gains when you are free of irrational fear and extreme emotion. Apatheia is one of the keys to successful investing and paves the way to a state of flow in your personal financial life. A fulfilling life revolves around doing meaningful work and having meaningful relationships. A stressful personal financial situation can destroy your ability to enjoy your work and relationships. You may not be part of an elite basketball program or Fortune 100 company, but ask yourself if you are really doing your job each and every day? Remember, you can be extremely busy—working to the point of exhaustion–and still not be doing your job. You cannot be the best at your job when you are scrambling to pay the bills, fighting with your spouse over money matters, or envying a co-worker you think is more financially successful than you are. To operate at your highest level for career advancement, you must be in a state of mental flow. This flow state can only be reached when distractions are kept at a minimum. A healthy financial plan will limit distractions from many areas of your life—not just the money ones. Q7. What Is the Most Important Thing? If you don’t know what the most important thing in life to you is, then how do you know if you’re putting it first? If you have personal financial stress, you will never have time or mental energy to focus on what’s most important to you because you will be constantly distracted by the negative weight of your money burdens. However, once you put your financial house in order, you will develop the quiet confidence to succeed in all aspect of your life. Seneca, the ancient Roman philosopher called that quiet confidence “euthymia”– the belief that you’re on the right path and that you won’t be led astray by people who are hopelessly lost. Q8. Who Is this for? It doesn’t matter if you’re making something, selling something or trying to reach people, you have to know who your audience is. Great speakers, great politicians and highly creative people tend to have a good sense of who their target audience is. So can you. Creativity is the key to self-improvement and career growth. In order to be creative you need to generate a LOT of ideas. They won’t all be winners, but you need a clear mind and long periods of uninterrupted thinking time to come up with a diversified portfolio of potential ideas so you can consistently develop good ones. Clearing your mind of financial worries and other distractions is the key to getting into your flow state—a mindset in which you do your best thinking and achieve real breakthroughs. Q9. Does this Actually Matter? Given the shortness of life, does this thing I’m thinking about, worrying about, fighting about, throwing myself into even matter? Sadly the answer is usually no. If nothing else, don’t get stressed about short-term market volatility and the media hysteria around it. All that matters is your long term financial plan and preserving wealth for yourself, your family, your heirs and the causes you support. As get older, I realize more and more that money is simply a tool for making the most of our brief time on earth. Making money for the sake of making money’s will just keep you on the hamster wheel forever. Q10. Will This Be “Alive Time” or “Dead Time?” At the end of the day there are only two types of time: Dead Time and Alive Time. Dead Time is when we are just waiting and Alive Time is when we are learning and active. Resist the temptation to get distracted by Wall Street pundits. Don’t let them sway you into chasing the next hot stock or sector. Don’t let them talk you into getting in (or out of) the markets at EXACTLY the wrong time (see danger of market timing in Question 5). Case in point: During a recent eight-day span, research found that the big three cable news networks had over 600 stock market pundits on the air—that’s about 75 different “talking heads” tugging at your ego and emotions every day. Behavioral finance research proves how hard it is to predict markets accurately, but still we are exposed to thousands of gurus a month through conventional and social media. Use your Alive Time to become a smarter investor, to get better at your profession, to become a better parent, to read and to exercise regularly. Don’t allow your Alive Time to become Dead Time by trying to predict the unpredictable (think weather, stock market, natural disasters or traffic accidents, etc.). Need + Justification + Opportunity. Q12. Man’s Search for Meaning. Viktor Frankl, a renowned Austrian neurologist and Holocaust survivor, said life demands that we always answer the question, “What Is the Meaning of Life?” He said we answer that existential question with our actions and decisions. After examining 65 studies on debt and mental health, researchers from the University of South Hampton concluded that people in debt are three times as likely as those who are debt-free to have a mental health problems. Those problems can range from drug and alcohol dependence, to depression, anxiety disorders and psychotic disorders. That’s a scary statistic considering that more than one-third of Americans have delinquent debt according to the Urban Institute. Surround yourself with people who have a positive outlook on life and a healthy relationship with money. Control what you can control and let everything else go. Finally, if you are to find the meaning of life in your actions and decisions, then debt and financial worries are clearly things to avoid at all costs. Matthew Topley is the Chief Investment Officer of Fortis Wealth in Valley Forge, PA and a 2018 winner of the Philadelphia Inquirer “Influencers of Finance” award. 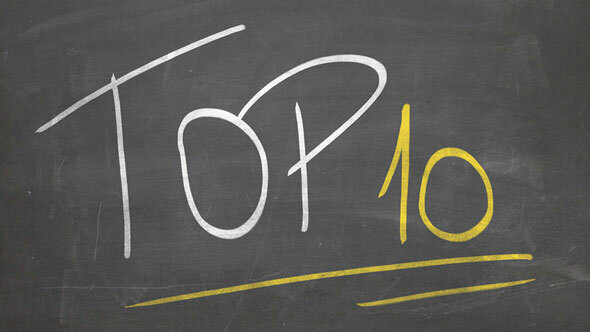 He authors the daily blog Topley’s Top 10. Fortis Advisors is a wholly-owned subsidiary of Fortis Wealth and is a registered investment adviser with the Securities & Exchange Commission. This presentation outlines research and is not an offer to sell or a solicitation to buy any securities. This is intended for the general information of the clients or potential clients of Fortis Wealth. Any investment information does not consider the objectives, financial situation or needs of individual investors. Before acting on any advice or recommendation in this material, a client must consider its suitability and seek professional advice, if necessary. The material contained herein is based on information we believe to be reliable, but we do not represent that it is complete or accurate, and it should not be solely relied upon as such. Any opinions or suggestions as of the date written may change without prior notification. No part of this material may be copied or duplicated in any form by any means and may not be redistributed without the consent of Fortis Wealth. please contact Matt Topley at mtopley@fortis-wealth.com, or call (610) 313-0910.